The Dr. Phillips Center for the Performing Arts officially opened its doors in downtown Orlando after a 25-year period of planning and fundraising. Construction works began three years ago. Hundreds gathered for the ribbon-cutting ceremony that was held at the corner of South Street and Orange Avenue on Thursday morning. Mayors Buddy Dyer and Teresa Jacobs, governmental officials, donors, members of the arts and over 100 representatives of the media attended the event. Dyer called the grand opening of the center “once-in-a-lifetime event” for the city. While speaking at the ceremony, officials said they expect the center to host 300 events a year and emphasized the positive economic and cultural impacts on the Central Florida community. The ceremony was followed by a tour of the state-of-the-art venue. Built on a site which is more than nine acres in size, the performing arts center looks complete from the outside, however there is still much more to be done. The five-story building with a height of 103 feet, 7 inches features modern architecture, glass and more than 3,300 tons of steel. Some economic conditions have forced the project to become phased. The first phase of Dr Phillips Center houses two theaters. The Alexis and Jim Pugh Theater with 304 seats will be used for smaller shows, theater and education events and it will host everything from weddings to corporate meetings. A 1,800-seat acoustic hall for ballet, operas and orchestral performances is planned for phase II of the project. Orlando’s new arts center is named for the philanthropist and citrus magnate Dr. Phillip Phillips (1874–1959). The center is within walking distance of the house on Lucerne Circle where he and his wife Della lived and where he hosted many concerts, bringing famous musicians from all over the world to play on his front lawn for the local community to enjoy. Organizers have promised a range of free and ticketed events to commemorate the center’s opening. Tickets for a variety of shows are already on sale. There will be many outdoor concerts. 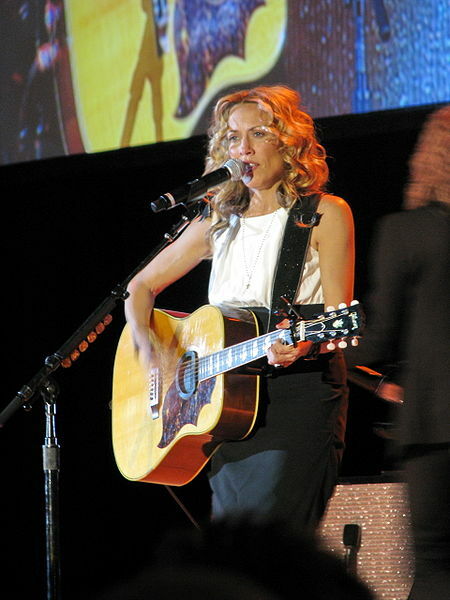 The first free concert at the new facility is scheduled for Saturday and features the nine-time Grammy winner Sheryl Crow. Orlando’s new downtown performing-arts center is open to the public for self-guided tours from noon to 6 p.m. Saturday. The Grand Premiere will continue for the next week with a wide range of events in celebration of the center’s opening. “The Nutcracker,” “The Phantom of the Opera” “The Book of Mormon” will be presented by the Orlando Ballet next month. On November 15 at 8:30 p.m. is the performance of Broadway & Beyond at the Walt Disney Theater, presented by Dr. Phillips Charities and The Bryce L. West Foundation. Tickets are from $125.00 to $250.00 and include the show and the after-party on the Seneff Arts Plaza; a champagne toast and dessert, and some spectacular surprises like dancing under the stars to Michael Andrew and the Atomic Big Band.